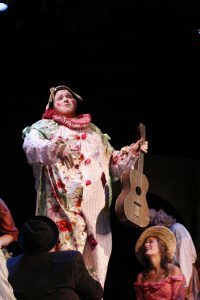 Since 1950, Opera in the Ozarks has provided artists with an intensive development experience while giving audiences a four-week season of quality performances of the world’s greatest operas. YOu can be a part of making this magic happen! You can be a Producer for a lot less than a Broadway show! Underwriters and sponsors of a night of opera are recognized in the program and receive special recognition at the end of the season. Production Underwriters: $2,500 Seven performances of one of the operas can be produced by YOU! Nights of Opera Sponsors: $300 Pick the night that you want to be YOURS and bask in the warm thanks from the cast! If you would like to advertise in our program book, please call Janie Clark at 479-601-4310.